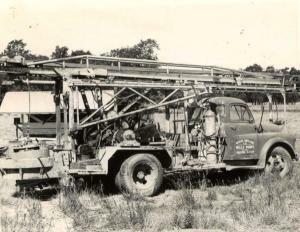 Sonoma County Drilling Companies | Weeks Drilling & Pump Co. 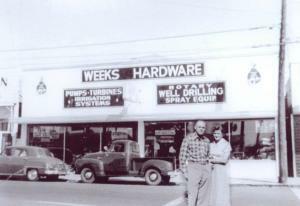 Weeks Drilling & Pump Co. started out in 1906 as a country hardware store and small pump shop, owned and operated by Hod Weeks. 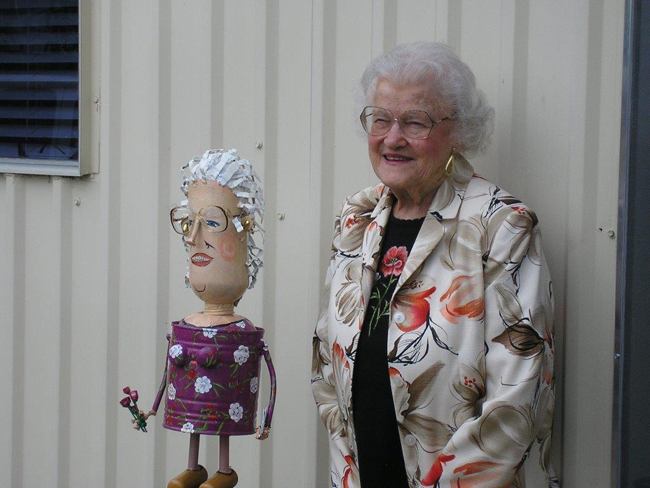 It was originally located in the heart of Sebastopol on what is now called Weeks Way. 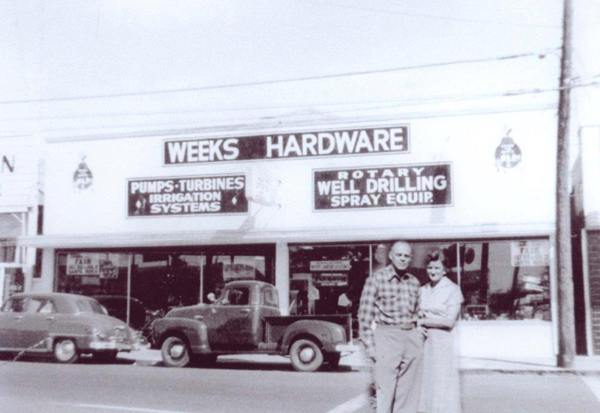 In 1949 Walter & Mary Thompson purchased Weeks Hardware and decided to retain the well-established Weeks name. 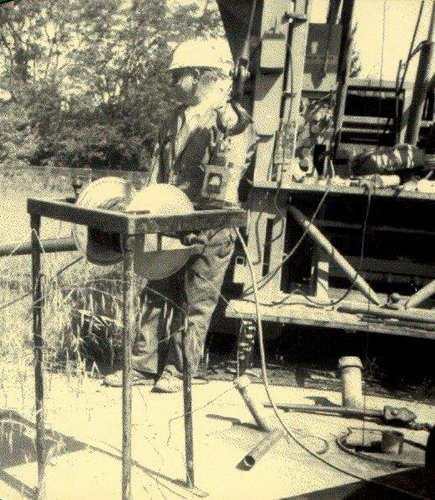 By the early 1950s they had sold the hardware store to devote their time and energy exclusively to the pump shop and also add on the drilling operation capability. Following Walter’s death in 1959, Mary Thompson took the reins as company president and ran Weeks with the help of her four sons; Wayne, Jerry, Bob & Ward. They grew the business and established their reputation for quality work and dedication to the highest professional standards. Weeks moved to its present location on Highway 12 in the early 1960s. 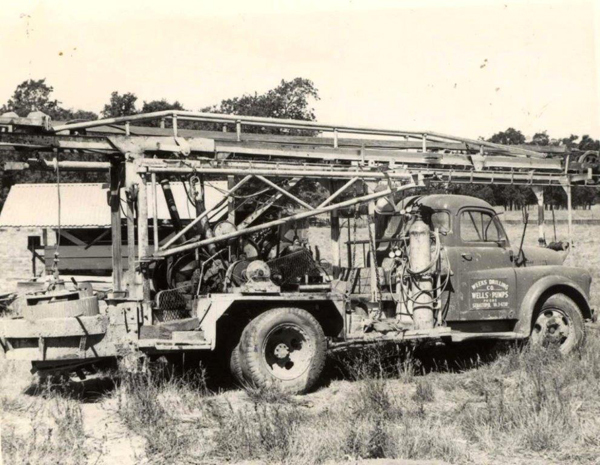 Weeks Drilling & Pump Co. is not just one of the largest groundwater firms locally and throughout California; its reputation for providing a complete range of water supply solutions is legendary. 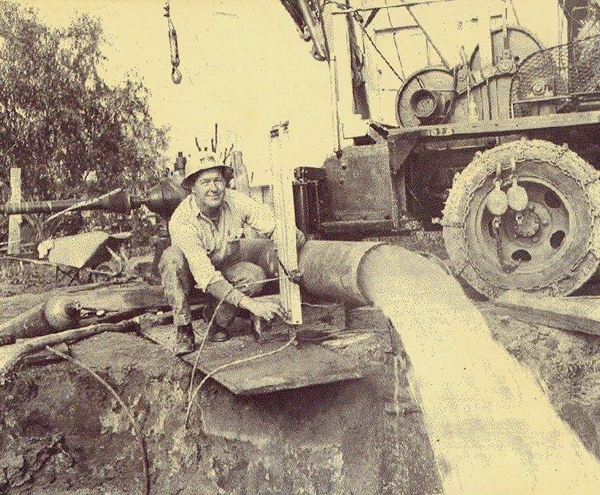 Our three departments work hand in hand to provide our clients a full spectrum of services – from drilling the well and installing the pump systems to treating the water that is produced. With a single phone call to Weeks, all of your water supply needs can be met. We have the equipment, knowledge, expertise, and commitment to customer service to handle your entire project from planning to completion. 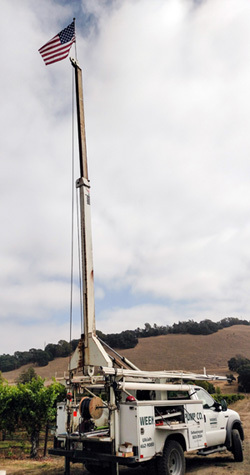 Contact us or call us at 707-823-3184 to schedule an onsite inspection and/or consultation visit. We look forward to providing you with outstanding service.